The start of a new year comes with lots ahead for Pickens County government. Several projects will advance in 2019 including: the opening of Pickens County Fire Station #12 off Carlan Road, the construction of a new Tate Fire Station, a hefty paving schedule, water line extensions, and much more that is developing. 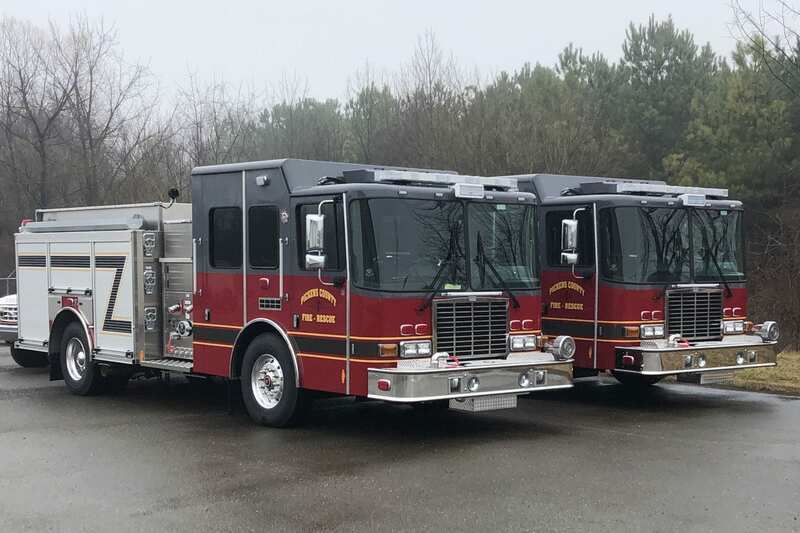 Additionally, Pickens County Fire and Rescue’s fleet is expanding to include two new fire engines this year. The two engines were purchased with SPLOST (Special Purpose Local Options Sales Tax) funds as allocated in the 2014 SPLOST referendum. The “twins” as they’ve been dubbed by Pickens Fire and Rescue will go into full service as soon as all equipment is installed. Department installed five new meters. The Water and Road Departments completed implementing a new brine operation for severe winter weather. The potential winter storm in late January allowed for the first run of the new brine system. The results were an extremely effective and efficient operation that allows for multiple roads to be pretreated in ample time. The Road Department is continuing to perform routine road maintenance around the county. The Pickens County Recreation Department is currently accepting signups for spring baseball, softball, and t- ball. The cost for baseball and softball is $85. The cost for t-ball is $75. The deadline to register is February 17th. A late registration period will be available February 18th through February 28th for a $10 additional fee. If you’re interested in being a volunteer coach, contact PCRD at 706- 253-8863. The Pickens County government departments continue to stay busy working for the citizens of Pickens County. The Pickens County Board of Commissioners continues to do a great job of leading these efforts. As work progresses, and projects continue, I will do my best to keep you informed of these developments.